The Choir is a GRAMMY nominated and Dove Award winning atmospheric alternative rock back based in LA and Nashville. The Choir's music has been described by the Los Angeles Times as "magical songs that combine strains of murky psychedelia with pure pop." Billboard praised the band for its "dark poetic leanings, effects-laden guitars and strong melodic hooks." 2015’s Shadow Weaver is the band’s latest studio album. The LP includes the brooding stand out track "What You Think I Am," which rides a jagged guitar riff while addressing hero worship and the rush to judgment in the digital age. A powerful, hooky horn arrangement and a fluid, muscular bass line propels the song with a hypnotic groove. 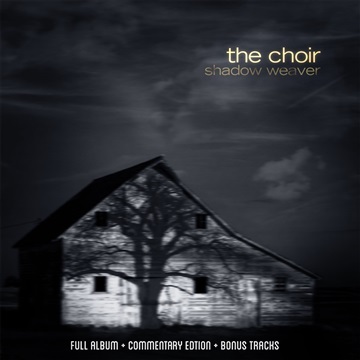 A companion "commentary" edition to Shadow Weaver is included in this download, with stories behind the songs and the making of the album. Unreleased live recordings and rare alternate versions are also part of this NoiseTrade exclusive, including "Rhythm of the Road" & "After All," featuring a duet with Sixpence None The Richer's Leigh Nash.